Sherrinford is a place, Redbeard was never a dog, and Mycroft (Mark Gatiss) isn’t the most clever person in the room. All these things and more we learned in the season four finale of Sherlock. “The Final Problem,” co-written by series creators Mark Gatiss and Steven Moffat, is 90 minutes of great television, perfectly balancing the emotional journey of our title character and the quirks of an exciting new mystery to solve. “The Final Problem” makes up for the start of season four while bringing the series full circle. Despite a few small irritations with this finale, I’m walking away a happy camper. A satisfied one, too. Because an argument could be made “The Final Problem” is the end of Sherlock, and if that’s the case, it’s a good spot to leave it. But I’ll get to that in a second. Forget any details of the overarching drama with the Holmes family, Mary’s death, and any emotional fallout between John (Martin Freeman) and Sherlock (Benedict Cumberbatch), and “The Final Problem,” down to a very basic core, is just a well-made episode. The horror movie like opening with Mycroft, the single-room psychological thriller middle act, and the sentiment versus logic final showdown all lend to a carefully crafted piece of writing. The rest is simply set dressing. Even still, those details never once slip into the melodrama I originally feared when Eurus (Sian Brooke) made herself known. Family problems can be tedious, and introducing an evil secret sister is on par with Jack Bauer-level of luck. However, Eurus made for a convincing villain — creepy, chilling, and at times, sympathetic. Eurus’s appearance also solved how Jim Moriarty has seemingly been pulling strings from beyond the grave. In what is probably my favorite use of a flashback scene, Jim Moriarty (Andrew Scott) returns to the tune of Queen’s “I Want to Break Free.” He lands a helicopter on the shores of Sherrinford, a psychiatric hospital on an island where Mycroft locked Eurus up for years. The scene works because it doesn’t immediately tell you it’s a flashback, teasing us one more time of Moriarty’s return, despite evidence to the contrary. Turns out, Moriarty met Eurus Holmes five years prior under the unsupervised supervision of Mycroft, and together, they planned the torture of Sherlock Holmes. It’s the torture of Sherlock Holmes where the thematic core of the episode rests and the emotional beats run rampant. When Sherlock first began seven years ago, the character of Sherlock Holmes was arrogant, rude, emotionally cut-off, and anyone who didn’t meet his intellectual prowess was beneath him, much like his book series counterpart. But after meeting Dr. John Watson, Sherlock’s walls started to fall when he suddenly found himself a best friend. Since then, we’ve seen evidence of those walls crumbling — confiding in Molly Hooper (Louise Brealey) during “The Reichenbach Fall,” his best man’s speech in “The Sign of Three,” and any time Mrs. Hudson (Una Stubbs) was in danger. But the character development of Sherlock culminates in “The Final Problem.” That development is clear in the way he understands Mycroft and John’s inability to shoot the General, his understanding of the emotional stakes during the phone conversation with Molly and his moment of anger after the fact. It’s there when he decides it’s better to shoot himself rather than kill either John or Mycroft, and in his willingness to forgive Mycroft his shortcomings and mistakes. And most telling, it’s there in the way he shows Eurus empathy and explains to her she doesn’t have to be alone anymore. It’s a believable transition because Sherlock has always been the sentimental one, after all. The revelations of Sherlock’s past are handled with care, even if they are more tricks by Gatiss and Moffat. Oddly, I find myself mourning a dog named Redbeard that never even existed. However, the truth that Sherlock once had a previous best friend named Victor is another example Sherlock hasn’t always been so detached from his emotions. He was a kid who suffered a tragedy and picked logic and reasoning as the best way to cope with it. As a result, Sherlock is not just about a smart detective and his doctor friend, rather, it’s a show that reminds us we all have one sort of tragedy or other in our past, but the important thing we must do is continue on. In the face of what I believe to be an excellent episode of Sherlock, those few irritations feel almost nit picky, but I’m going to nit pick all the same. There were some instances throughout “The Final Problem” when the show seemed to have written itself into a corner, only to brush it off in the next scene with short dialogue. 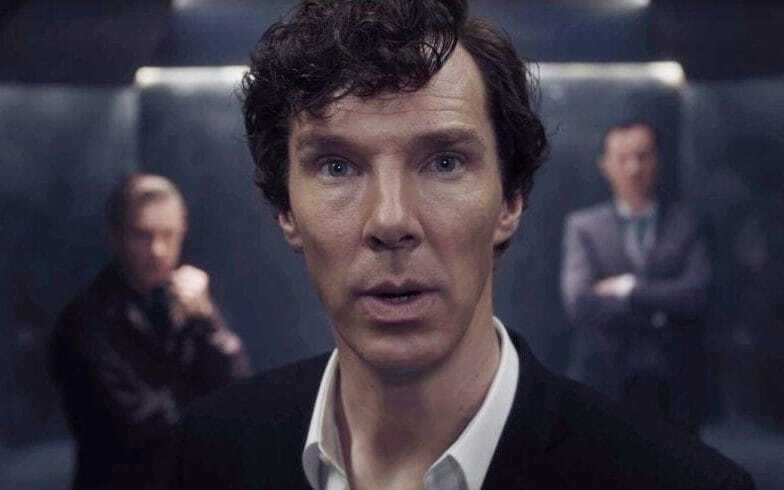 The cliffhanger ending of “The Lying Detective” had Eurus seemingly shooting John, but “The Final Problem” opens with Sherlock and John already three steps ahead of us and confronting Mycroft. John had only been shot with a tranquilizer. The scene at 221B Baker Street, while nail-bitingly tense in the moment, ended with a literal bang, with no consequences. The next scene, Sherlock and John were stealing a ship headed for Sherrinford. It would be easy to say these instances are a meta commentary of the episode — it’s all misdirection, much like Eurus’s game with Sherlock, John, and Mycroft. But it’s not sincere in that commentary. More like, it’s Gatiss and Moffat going a few steps too far in trying to be clever. If a Sherlock season five is anywhere in the future, more of this trickery will soon get exhausting. For now, I can excuse it because the payoff outweighs my frustration. In the end, it all comes full circle. For the first time, a Sherlock season doesn’t end on a cliffhanger. It all tidies up quite perfectly, in a beautiful little montage of John and Sherlock cleaning up Baker Street and getting back to regular business. Sherlock and Eurus play the violin together, even once breaking the fourth wall to slip into a quick rendition of the Sherlock theme song. I could have done without the Mary voice over. It feels an odd disservice to her character to reappear only to rein praise over Sherlock and John. Small call backs to previous seasons also give this episode an air of finality — Sherlock getting to be a pirate, Sherlock finally getting Lestraude’s name right, and Lestraude himself calling Sherlock a good man. It feels like an end. Sherlock and John still solving cases, what better ending could there be?